The ibis La Rochelle Vieux Port hotel, located in the heart of La Rochelle, is 440 yards from the train station and 9.3 miles from the airport. 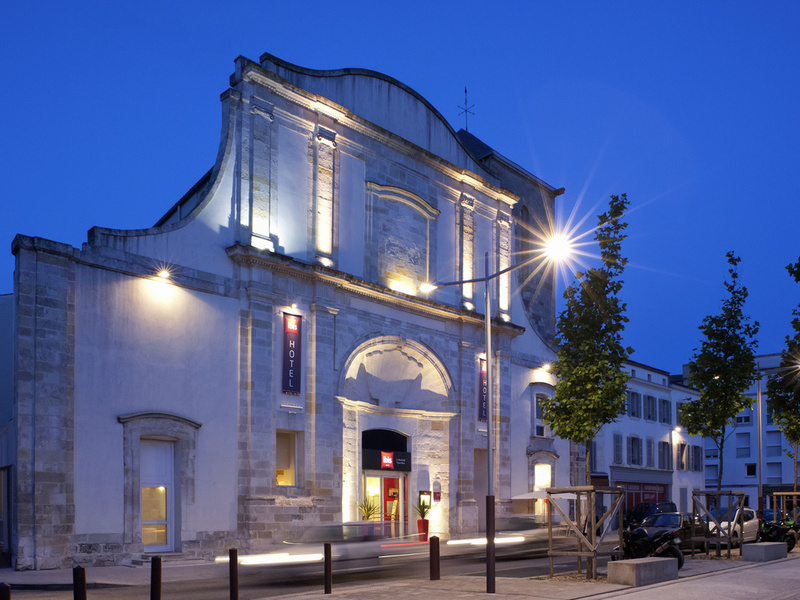 With its distinct architectural style and beautiful church facade, it is 0.6 miles from the exhibition center a nd 9.3 miles from Ile de Ré. The hotel has 79 air-conditioned rooms, with WIFI, of which 3 are adapted for guests with reduced mobility. A bar, 24-hour snacks, and a public, paying car park are at your disposal. Tennis courts are found 3.1 miles away. Ideally located at the entrance to the Vieux Port, close to all tourist attractions. Come and visit our modern, comfortable hotel with its magnificent listed frontage and relaxing indoor patio.